This is the "house" nail polish of Victoria Nail Supply, and I'm on my third bottle now because I like it that much! It's got a green tint to it, but it goes on clear. It dries quickly, but what I like about it the most is how thick it is on the nail. The formula itself isn't thick, but the coverage over the nail is thicker than any other base coat I've used. Because of that, I get a smoother and more even base to apply my polish over. Their Smooth Base Coat is a sticky-type, so it also does a great job of adhering not only to the nail, but also to the polish applied over it. Another nice thing I've noticed, is that I can get almost to the very bottom of this one before it starts to thicken. I'm counting 4 other brands sitting on my desk right now that are between one-half and two-thirds empty, and I don't use them anymore because they've gotten thick and stringy. I will ad thinner to them if I use them again, but I don't find that necessary with this brand. My post is lacking some important information though, namely the price. The .5 fl. oz. bottle is not something I'm seeing on their web site, so I'll need to sort through my old bills to see if I can find it. I do see the 8 oz. ($11.95) and 16 oz. ($19.95) bottles listed, and at those prices, it's less than 75¢ for .5 fl. oz. I'm going to have to pick up a miniature funnel and order a bigger bottle the next time. I'll update this post with the price as soon as I find it. *Update: The .5 fl. oz. bottles will be up on the VNS web site next week. Good to know it stays the same consistency. I'll have to give it a try. Oh, liking the hair! It looks good on you! I'll have to try this! I still haven't found a base coat I absolutely love. Just noticed your new pic and the haircut is phenomenal! Really suits you. awesome haircut!!!! 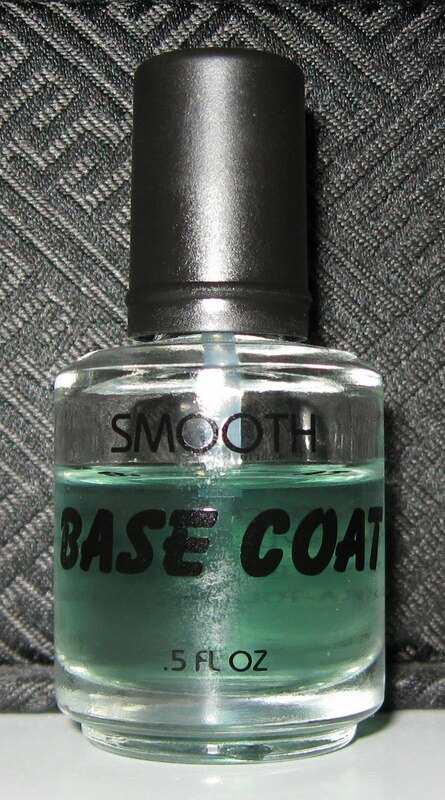 funny you'd mention this basecoat-it my favorite too!! !i bought the 16oz and it has a small funnel inside the cap. sweet post mary-guess great minds think alike. Thanks for letting us know, I'll definitely add a bottle to my shopping cart! Love to know about different base coats. I always use two coats of Zoya's Ridge Filler. I have a few more bottles of that. 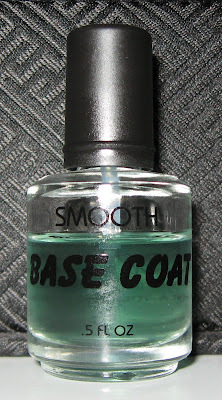 I get free bottles of topcoat from Yen so I'll never run out of that! I'm always on the lookout for a good base coat. I have the same sticky/thickening issues with some of mine! The VNS site doesn't list the ingredients? Do you know if this is B3Free?